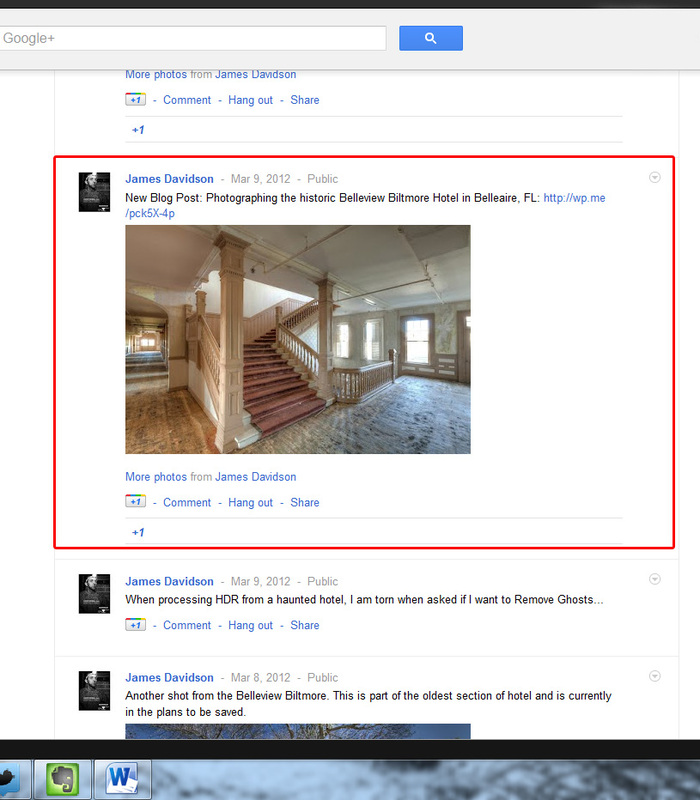 This information is probably on the web somewhere, but I had a hard time finding it, so I decided to write a blog detailing how to move images from one album to another in G+. I like to post a quick link to a blog post and attach an image for reference. It’s not a bad practice, but it can create a lot of galleries for your profile. 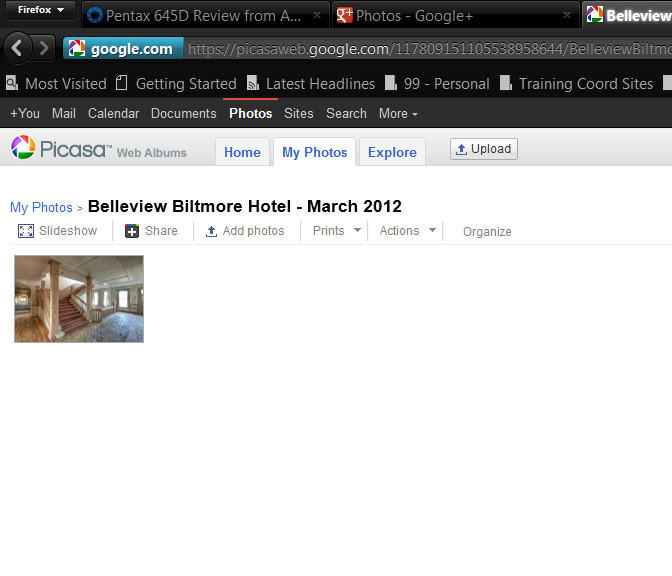 Take for instance this post about the Belleview Biltmore. We will use it as a starting point. If you click on the image, you will see that it is in “Photos from Posts” album and it is image 1 of 1. 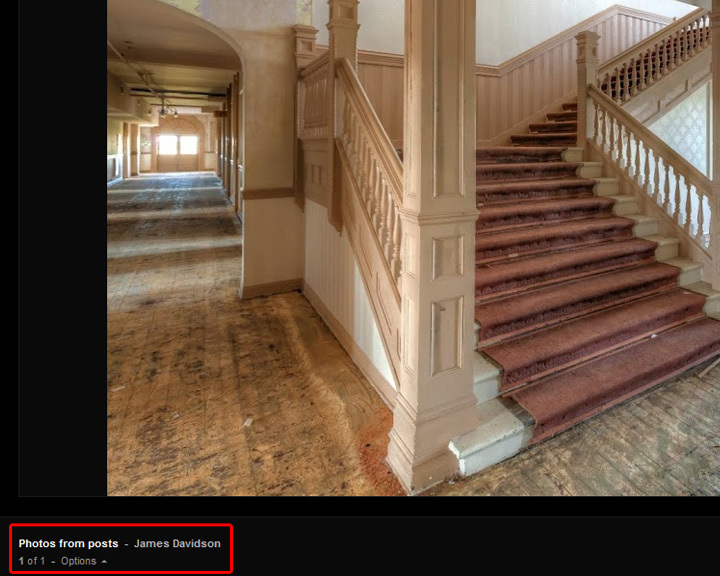 I haven’t been on G+ long at all, so I want to have a system of organizing now, rather than having 10x the work if I wait a while to start sorting photos. 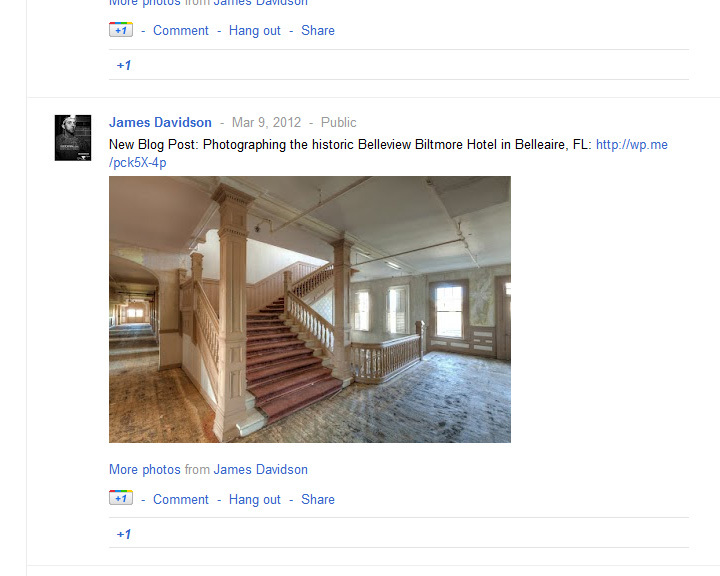 I only have a few albums at the moment, but I want to create one for the photos of the Belleview Biltmore that I posted directly to my wall. 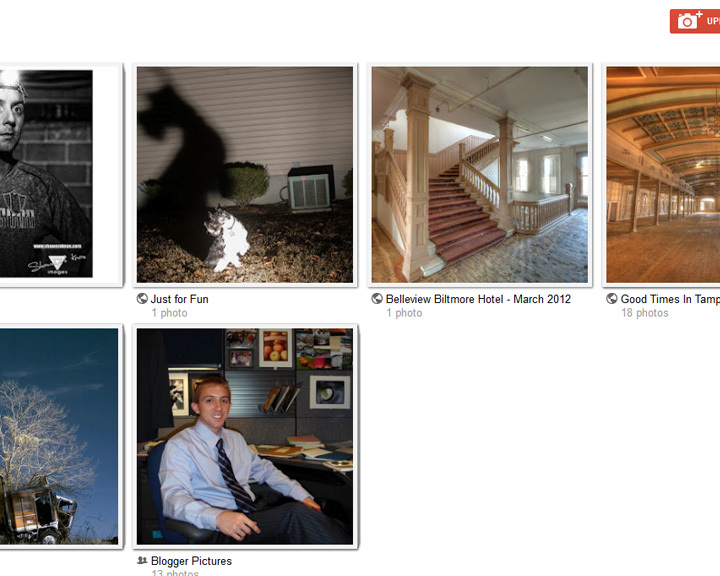 If you open your Photos from Posts album, they show up in a asthetically pleasing collage, but what you do not see is that they are actually in several folders sorted by date. You will see this shortly. 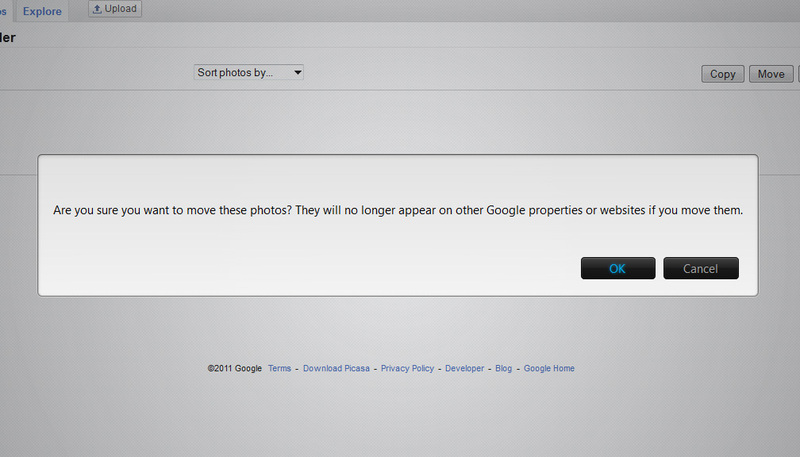 You cannot directly edit photos or albums from your G+ page, other than uploading and deleting. 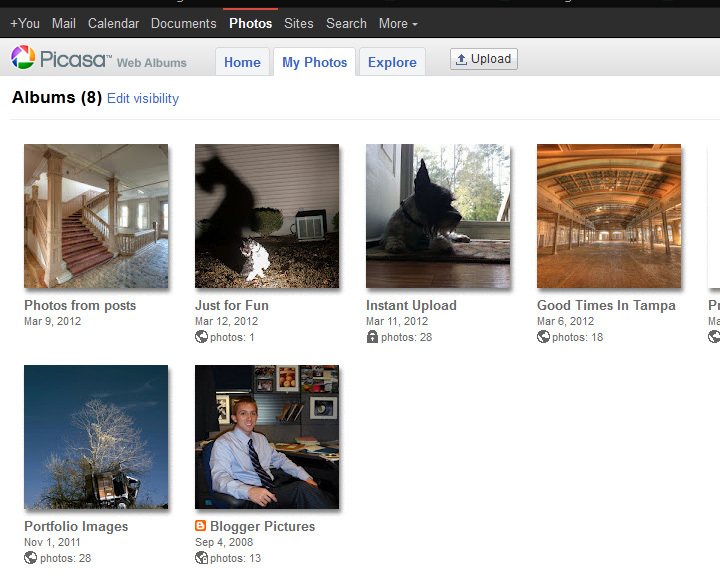 To edit your albums, Google integrates Picasa Web Albums, and you can access your photos by going to https://picasaweb.google.com/lh/myphotos. From there, you will see all of your albums again. 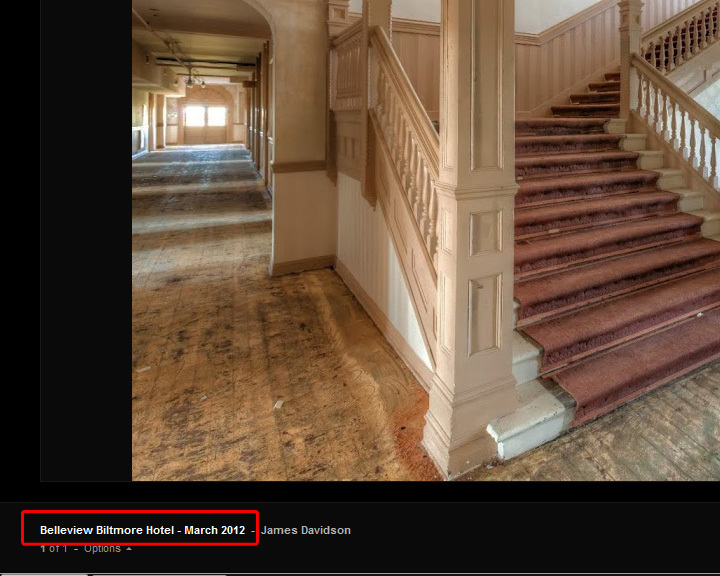 For this example, I am going to take the photo of the Grand Staircase that I posted on 3-9-12 and move it to a new album titled Belleview Biltmore Hotel March 2012. Open the album that contains the image(s) you want to move. If you uploaded several images or posted more than one to your wall on a given day, you should see more than just the one image. Click to highlight the photo(s) that you want to move to another album and click Move. 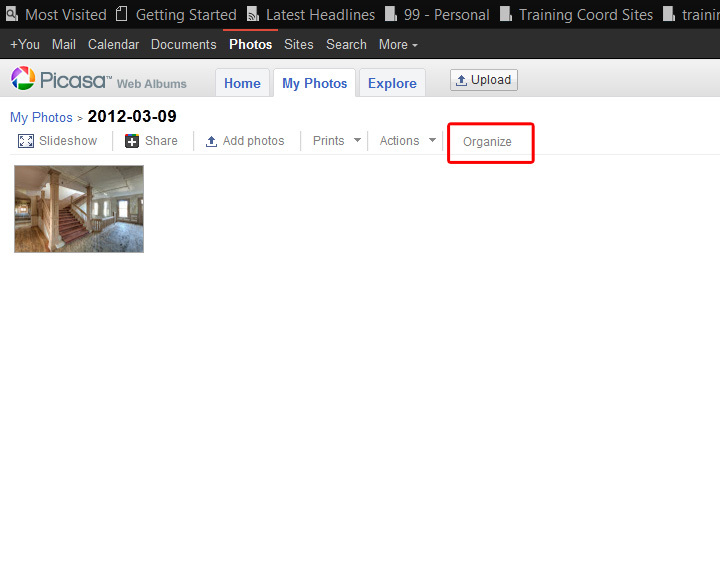 If you are moving multiple images, hold the CTRL (Mac: Option) key and click the photos you want to select. You will see this warning, but the content stays on your stream and seems unaffected. (Correct me if this is wrong). Just click OK. Here you have the choice to make a new album, or choose an existing album. You can also choose your preferred privacy setting for the album. 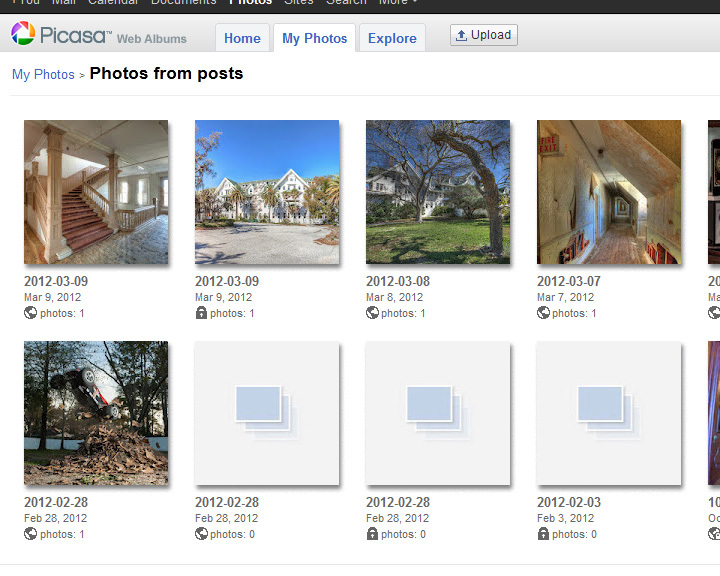 That’s it, the photo now shows in the newly created album. 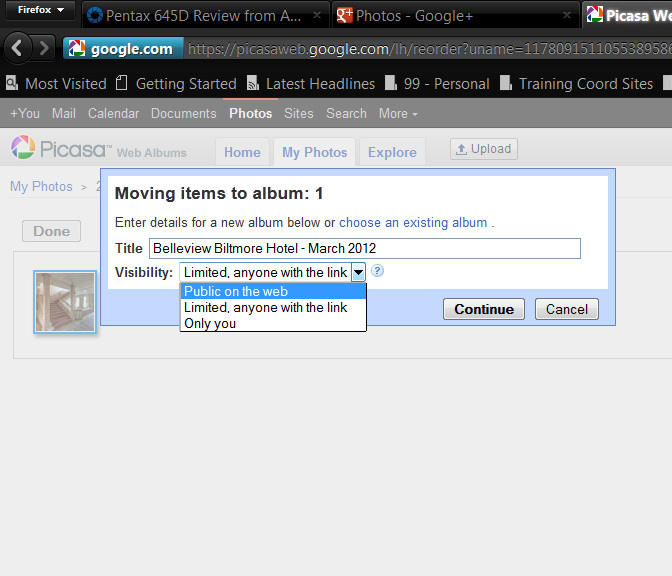 You will have to go back and delete the old album if it is empty (in Picasa). 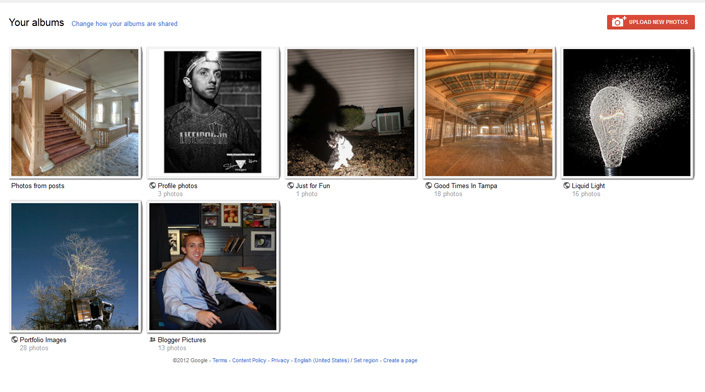 Going back to G+, the new album shows up with the one image we moved. It still shows up with the original post on March 9th, but if you click on the post now, you will see that it references the new album location! That’s It! I hope this was helpful to you! Magnificent job. I just Googled how to combine albums and this seemed the most promising entry. Thanks so much. 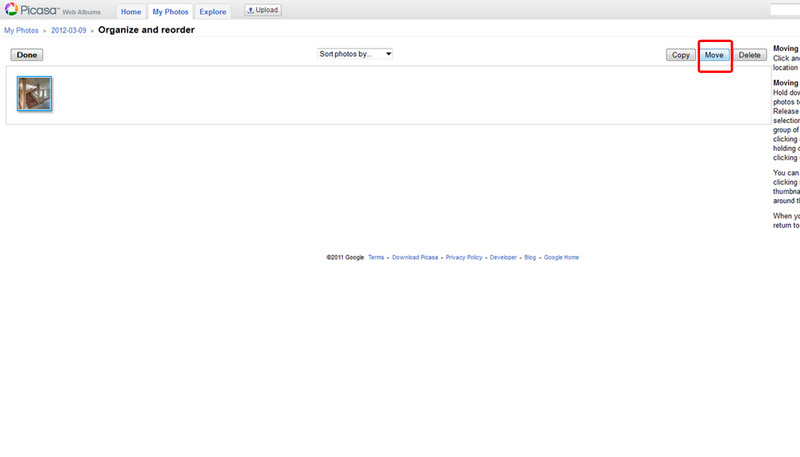 Now I can quit cussing at Google+! I at last stumbled upon this site. Reading this information So i’m glad to express that I’ve a very good uncanny feeling I discovered exactly what I needed.